At the end of July, Playerunknown himself wrote an update on the game’s official blog announcing an invitational, competitive PUBG tournament at Gamescon in Cologne at the end of August. In the same post, he announced that Bluehole would be testing a new loot crate system to, in part, fund the prize pool for this invitational. By purchasing a “key” for 2.50, players could open a special “Gamescon Invitational Crate” and have the chance to discover cosmetic items for their player model. The idea of testing, prior to full implementation, is at the heart of adding every new game feature in our game, and this includes the crate and key system which we believe will serve as the foundation of a healthy economy after launch. To be sure, Playerunknown uses some slippery language here and tries to suggest that the game’s economy for skins is just another game mechanic that needs testing. But the more I thought about this equivocation, the harder it was for me to disagree. The loot crate has become a staple of many popular, multiplayer games. 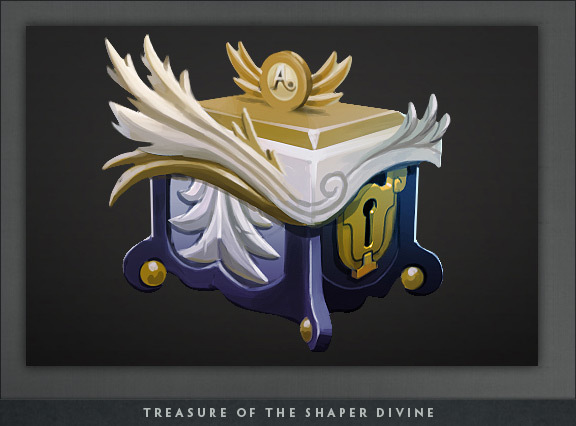 Sometimes it’s a “card pack” or an industrial-looking hard-plastic “case” or the older, more familiar “treasure chest,” but the principle is always the same: you crack ’em open and an algorithm decides which rewards you get (and they’re usually not the ones you want.) While often frustrating, disappointing, or downright exploitative, the loot crate as a game mechanic is nonetheless exciting, much in the way that gambling can be. And the more I think about it, the more I believe that this loot-crate-excitement is, as Playerunknown implies, absolutely essential to the excitement of PUBG itself. Think about it like this: when you drop out of the airplane, you make a choice: do I want to go spicy and drop into a crowded city where a lot of other players will be, or do I want to drop somewhere more remote with fewer people but also less gear. It’s a classic risk/reward system at the heart of many games. But at a certain level, this dichotomy is only a vague, approximate, statistical one. There’s no guarantee that the three houses you loot in Pochinki will actually have any good gear, and it always possible that you find an M16A4 and a level 3 vest in some random house in the middle of nowhere. Faced with uncertainty, most people tend to drop into areas with more houses because they know they’ll have more chances to get loot. And as players have discovered, the game also spawns higher-quality loot in these areas, meaning that you’re highly incentivized to drop into areas with more houses – in other words, the game encourages you to open as many loot-containing objects as possible. But it’s not just houses that make use of the loot-crate form. 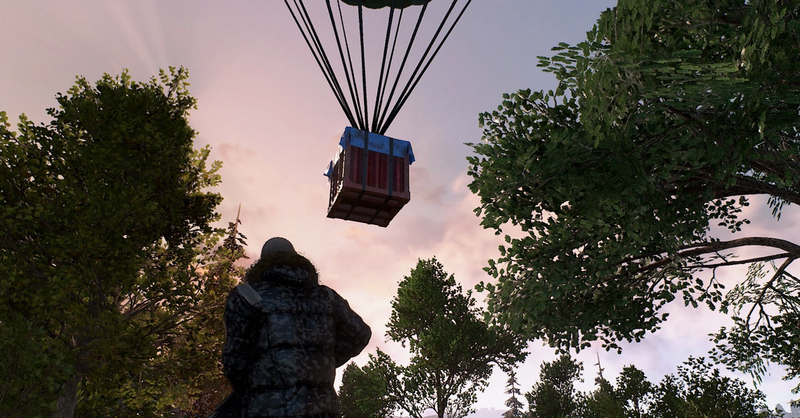 Throughout the entire game, airplanes fly across the map dropping red crates with high-value loot in them, and going into the mid- and late-game, players themselves become walking loot crates. Granted, they’re dangerous loot-crates with guns that want to kill you, but if you can get the drop on someone who’s lasted until the 2nd or 3rd circle, there’s a pretty good chance they’ll have some good gear on them. And when you’ve won an engagement with a probably-unsuspecting opponent, what reward awaits you near their corpse? A nice little crate for you to loot! 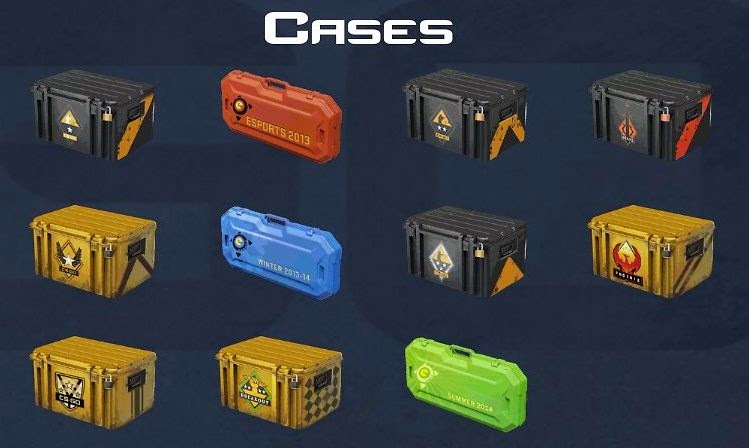 While I think its fair to be frustrated with a developer for adding micro-transactions to a game that is still officially in early access, we also have to deal with the fact that the logic of the loot-crate is essential to the game, and that the success of PUBG proves that, at some level, we enjoy the thrill of loot crates. And considering how fun but stressful the game is, maybe we’re willing to pay 2.50 to open our Gamescon loot-crate in peace.